242 Radio live broadcasting from UK. 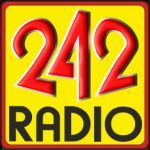 242 Radio is one of the most famous online radio station on UK. Scotland’s Better Music Station 242 Radio presents you the kind of entertaining and pleasing musical programs you might expect from a radio that dedicate to bring the best form of musical programs for their desired listeners.